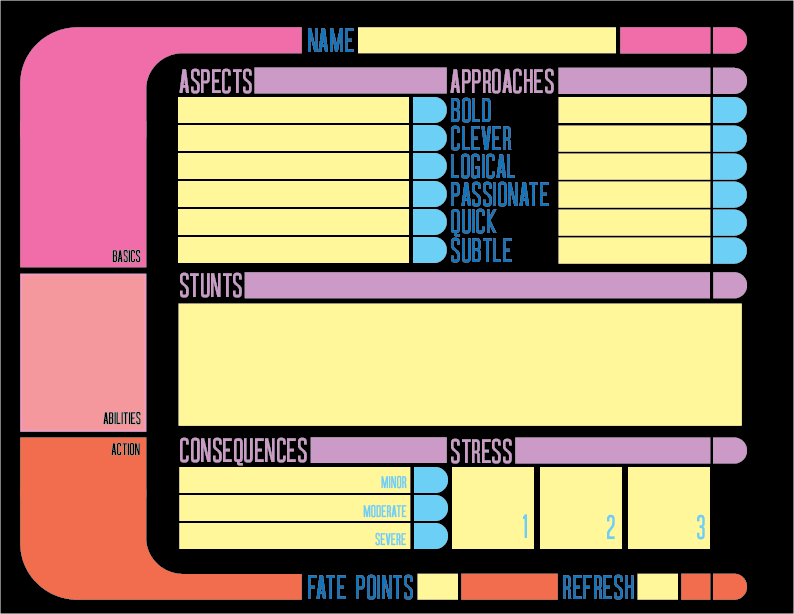 I’m planning on using Fate Accelerated Edition for a Star Trek game. In that spirit, I made a character sheet using the approaches suggested by Rob Wieland. The sheet is a fillable PDF form. It follows the Next Generation-era LCARS design, and has layers so that you can switch between an authentic black background and a printer-friendly white. 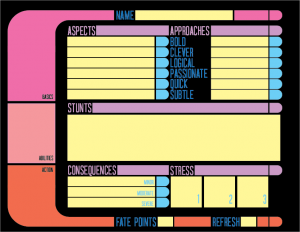 Download the FAE Star Trek character sheet here. Next → Next post: Updates: Die For You and Cavaliers of Mars! That is a sweet, sweet character sheet! Awesome. I like the approaches, very Star Trek-y.